KZYEE KS10 Brake Fluid Analyzer applies to detection of the DOT4 brake fluid performance. KS10 Auto Test Pen indicating the brake fluid condition through five LED lights. the test result is accurate and the measuring speed is fast. Green LED(< 1%)ON: The brake fluid performance is excellent. Yellow LED(< 2%)ON: The brake fluid performance is fine. 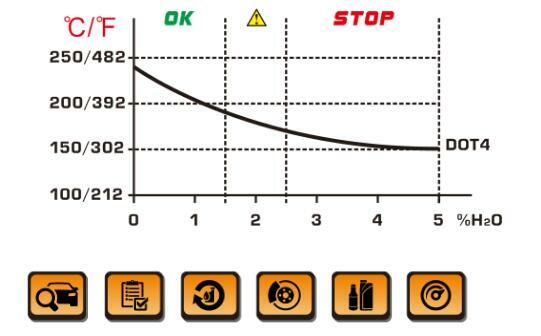 Yellow LED(< 3%)ON: The brake fluid performance is OK, but it need to be detected and observed in the near future. Red LED(< 4%)ON: The brake fluid performance is poor, it need to be replaced.